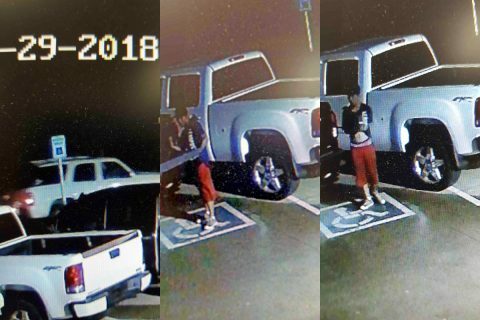 Clarksville, TN – Clarksville Police are trying to identify two men involved in the theft of a tailgate from a 2016 Chevy Silverado from a business lot, 380 Robert S Brown, on May 28th, 2018 around 11:00pm. The video shows the men working for about 10 minutes to steal the bumper worth about $2,000. There was a full size SUV circling the lot during the theft. Clarksville Police are trying to identify suspects in theft of a tailgate. 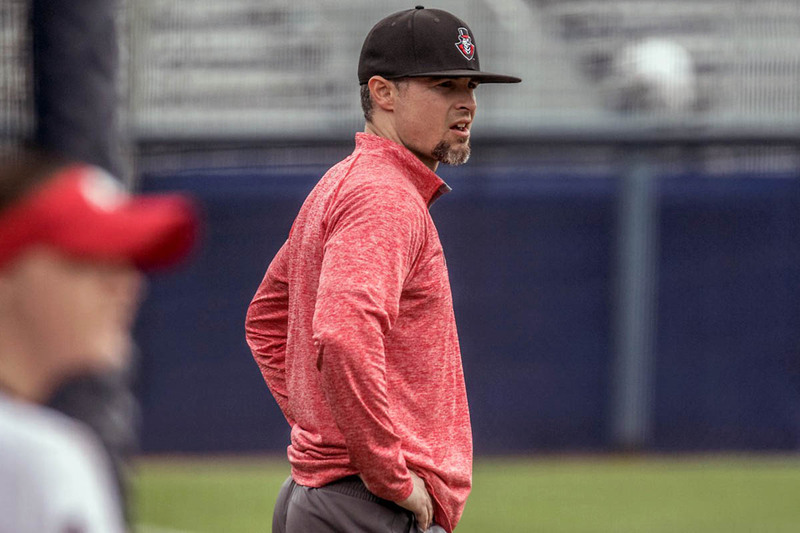 Clarksville, TN – Rodney DeLong, who led Austin Peay State University’s softball team to a 39-win campaign in 2018, has announced his resignation, effective immediately after accepting the head coaching position at North Texas, Wednesday morning. 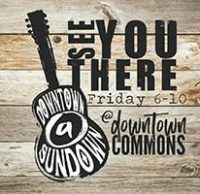 Montgomery County, TN – This Friday’s concert at the Downtown Commons features Trailer Choir, charting the Billboard Hot Country Charts with songs like “Rockin’ the Beer Gut” and “What Would You Say.” Openers include Aaron Lessard, a solo artist based in Nashville, known for having a heavy jazz influence and U.S. Marine Corps Veteran Chris Turner, a singer/ songwriter from Ninety Six, South Carolina. 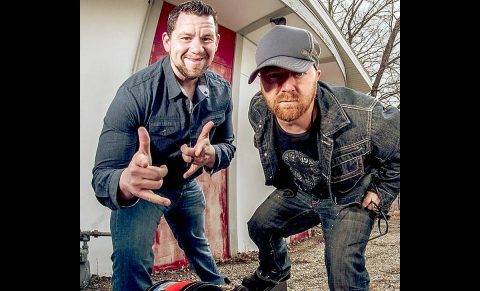 Openers start at 7:00pm and the featured artist takes the stage at 8:00pm Come early, bring family, friends, chairs, and blankets. Trailer Choir headlines Downtown at Sundown concert this Friday. Clarksville, TN – Dr. Benita Bruster’s cell phone pings all day with messages from WeChat—a popular Chinese social media app. 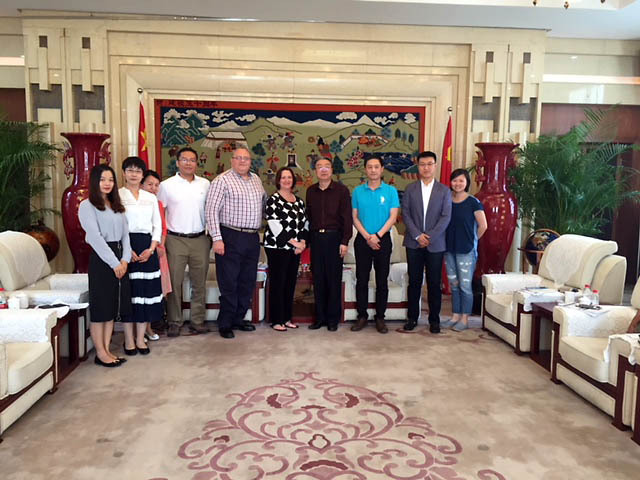 The Austin Peay State University professor and chair of the APSU Department of Teaching and Learning within the Eriksson College of Education downloaded the app earlier this summer, while on a recruiting trip to China, and now whenever she picks up her phone, she learns of another potential international student eager to study at APSU. APSU professor Dr. Benita Bruster recruiting trip to China. Clarksville, TN – The Clarksville Area Chamber of Commerce is pleased to announce the winners of this year’s Annual Dinner & Gala awards. Held on June 12th, 2018 at the Wilma Rudolph Event Center, the Annual Dinner & Gala serves as an opportunity to celebrate the past year’s achievements and welcome in the new Board leadership. This year, Chamber Chairman Charlie Koon took a moment to recognize individual members who have gone above and beyond both in the community and in business. 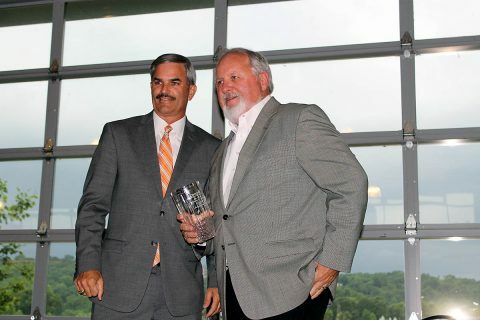 Chamber Chairman Charlie Koon (Left) gives F&M Bank’s Sammy Stuard (Right) the Clarksville Area Chamber of Commerce Lifetime Achievement Award. Clarksville, TN – Through the keen eyes of a sculptor, an architect and an exhibit designer, the Pat Head Summitt Legacy Plaza has come to life at Freedom Point. A bronze statue of Coach Summitt, hometown hero and legendary University of Tennessee women’s basketball coach, and an interpretative display of her life story will be dedicated at 3:00pm Friday, June 15th, 2018 in Clarksville’s Liberty Park. 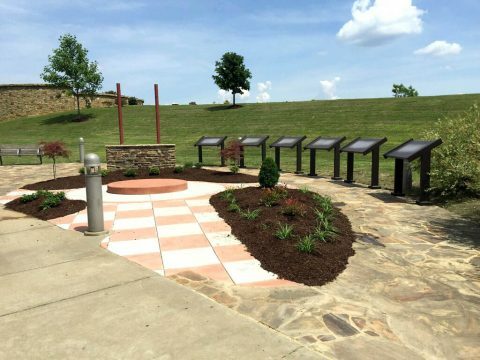 Landscape and construction are now complete at the Pat Head Summitt Legacy Plaza at Freedom Point. A bronze statue of Coach Summitt, hometown hero and legendary University of Tennessee women’s basketball coach, and an interpretative display of her life story will be dedicated at 3:00pmFriday, June 15th in Clarksville’s Liberty Park. 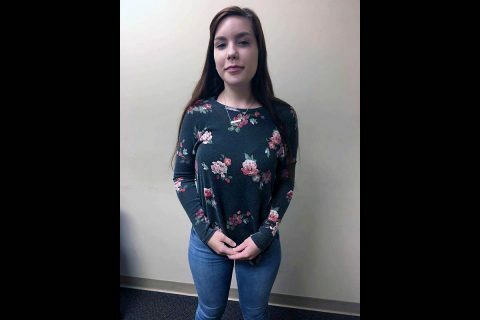 Clarksville, TN – Clarksville Police report Katelyn Rhodes returned home last night safe and unharmed. Police began looking for Rhodes because she was supposed to go to work on June 7th, 2018 around noon, but never showed up. 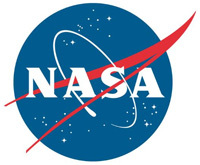 She had not been in contact with the family. 17 year old runaway juvenile Katelyn Rhodes has returned home. Clarksville, TN – On Saturday, May 19th, 2018 the Customs House Museum & Cultural Center held its annual Flying High fundraiser, which took place at the Clarksville Country Club. 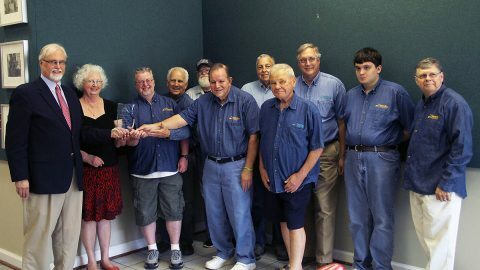 It was there that the Gracey Award was presented to the Museum’s Model Train Crew, recognizing all members past and present. The Gracey Award has been presented annually since 1992 in remembrance of Donald and Finley Gracey, who made a generous bequest in the form of a trust fund to benefit four Clarksville institutions, including the museum. (L) Jim Zimmer, Executive Director; Sue Lewis, Curator of Education. Train Crew, front (L to R): Kenny Hummer; Henry Livingstone; Carl Eiseman. Train Crew, back (L to R): C. David Elliott; Larry Guest; Jeff Stewart; John Blake; Teddy Blake; Randy Spurgeon, Exhibits Preparator. 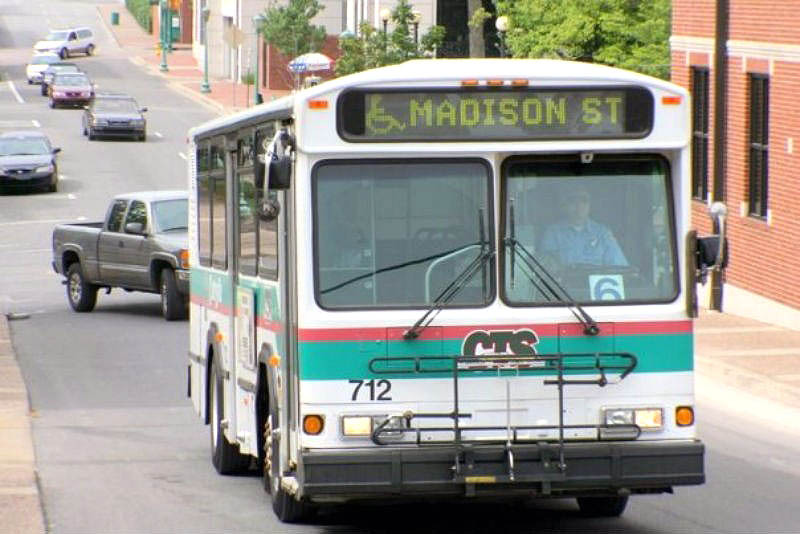 Clarksville, TN – Clarksville Transit System and the City of Clarksville are offering free rides next week to show off the convenience and comfort of the City’s transportation service. CTS Try Transit Week, June 18th-June 23rd, 2018 is designed to encourage new riders to try the bus. All of the system’s standard routes are included in the free transportation offer. Clarksville Transit System and the City of Clarksville are offering free transportation for first-time bus riders. 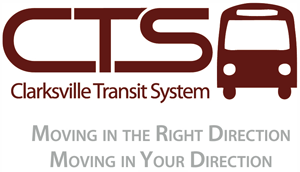 CTS Try Transit Week, June 18-June 23, will encourage first-time riders to try the bus. All CTS standard routes are included in the free transportation offer. Washington, D.C. – NASA’s remotely-piloted Ikhana aircraft, based at the agency’s Armstrong Flight Research Center in Edwards, California, successfully flew its first mission in the National Airspace System without a safety chase aircraft on Tuesday. 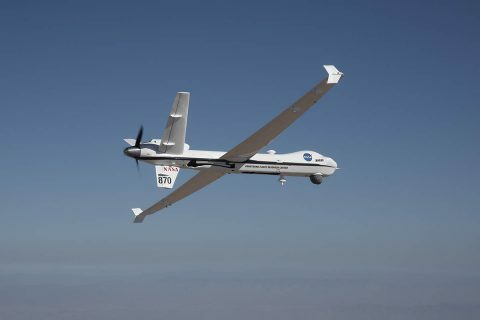 This historic flight moves the United States one step closer to normalizing unmanned aircraft operations in the airspace used by commercial and private pilots.